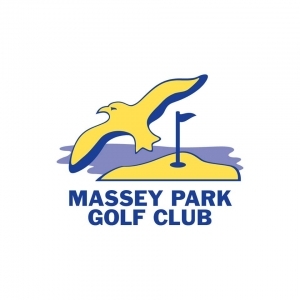 Massey Park Golf Club is an 18 Hole par 66 course located in the Inner Western Suburbs of Sydney and has a current membership of approximately 1250 including approximately 750 golfing members in various categories. The club is seeking to employ a member of the PGA as the club’s Director of Golf. The full time position will report directly to the General Manager and be responsible for the management of Golf Operations to achieve strategic objectives, provide excellent customer service and provide quality Pro-shop services including retail, golf tuition and repairs. Management of all aspects of the Pro-shop including customer service, staff management and development, oversight of service delivery, stock control, money handling and purchasing. Maintenance of equipment including cart fleet to ensure they are operating properly. Manage the club’s golf program in conjunction with the General Manager and Captain. Manage all golf events, manage member and social bookings, start and marshal fields in conjunction with the Golf Committee. Set up and develop a successful golf tuition program to service existing members / customers and attract new clientele with a strong focus on a comprehensive and engaging junior development program. Develop marketing and promotion strategies for the Golf Course, Pro-shop and Club and be an active part of the Course and Club Management team. Ensure all purchasing is correctly accounted and ensure a correct balance of staffing resources is allocated to match budgetary and customer service requirements. Maintain effective stock and financial control. A high degree of flexibility and the ability to adapt to new situations. The ability to work independently, organise work, set priorities and meet deadlines. An attractive salary will be offered to the successful applicant, with further earnings available through lessons and repairs.